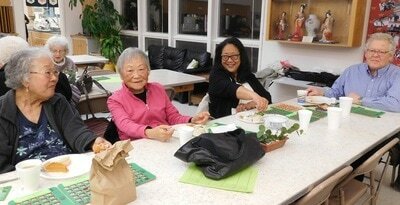 Welcome to the website for the Spokane Chapter of the Japanese American Citizens League. The JACL is a national organization founded in 1929 and is the oldest and largest Asian American civil rights organization in the United States. The Japanese American Citizens League is an organization whose ongoing mission is to secure and maintain the civil rights of Japanese Americans and all others who are victimized by injustice and bigotry. The leaders and members of the JACL also work to promote cultural, educational and social values and preserve the heritage and legacy of the Japanese American Community. Free to members and non-members are $25 each. You must be an adult to win small cash and gift prizes. Light refreshments and beverages will be served. Bingo cards are $2 each and you may play the same cards the whole evening. Held at Spokane Buddhist Temple, 927 S Perry St.
To thank all of our wonderful members, we would like to treat you to lunch at the Sukiyaki Inn on Sunday, June 23rd from 12:30-2:30 pm. Doors will open at noon. This event will be exclusively for our chapter members and by reservation only. Reservation deadline is Saturday, June 8th. To make your reservation, please fill out the RSVP form below. Starts at 4:00 pm with doors opening at 3:30 pm. This is a family friendly event and children are welcome to play. Everyone has a chance to win a gift card at a local grocery store. Free to JACL members and non-members are $25 each. Held at Highland Park United Methodist at 611 S Garfield St. This year we will be having the event at River's Edge Buffet located at the north end of the casino. See attached property map. We are changing the room this year in order to provide you a better variety of food selections. It will be a brunch buffet and will offer both breakfast and lunch choices. The area that we've reserved is limited to 52 people. We will accept reservations on a first-come-first served basis. If we exceed this amount, an additional seating area close by has also been reserved. Park in the parking garage on the north side of the property and enter the building at the Pavilion entrance. See attached property map. 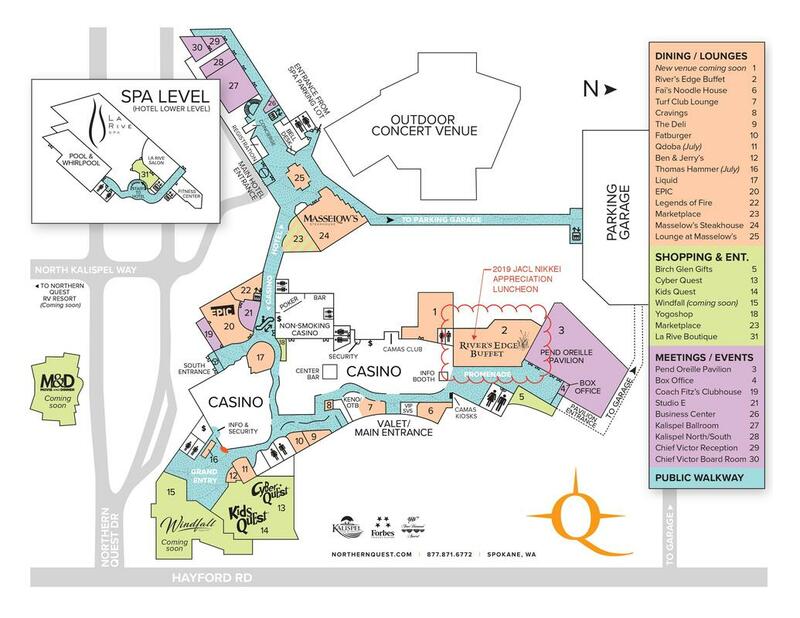 You may also use valet parking at the main casino entrance. To help ensure that you'll have seats by your family and friends, make your reservations as soon as possible. The reservation deadline is Wednesday, March 13th. To make your reservation online, please fill out the RSVP form below.